These are the stories of eight people who met Jesus. Three of them became His disciples, and five of them rejected Him, but all of them were impacted by His life and message. They are very different personalities and each one has something to teach us. A wonderful resource for Bible study, small groups and Sunday school, especially during Easter. 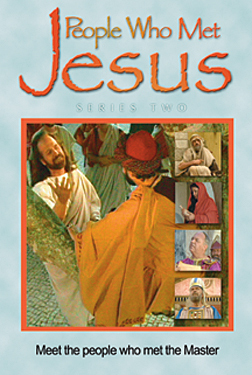 Bonus features include a short promotional video for the series, and a director's commentary for each story with additional historical background and behind the scenes information.